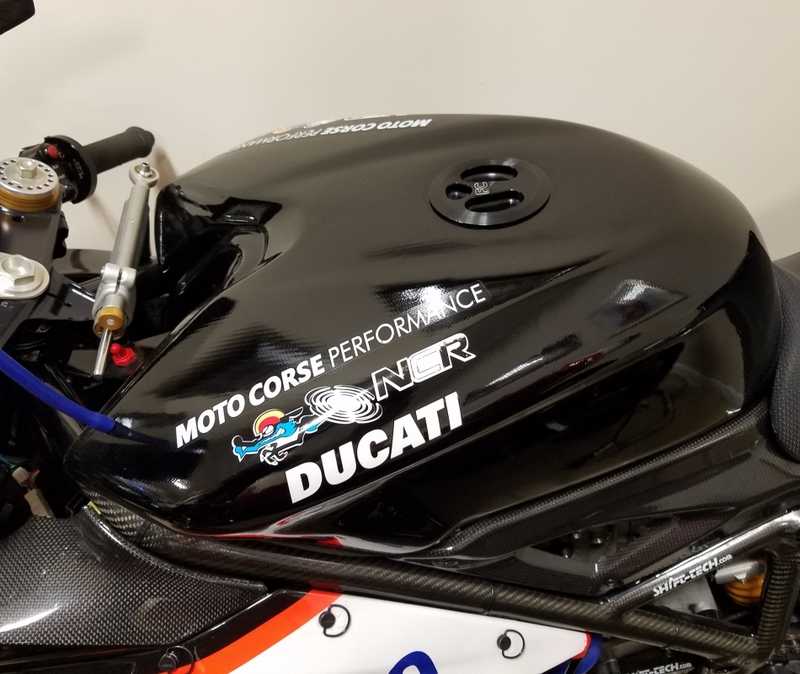 FuelCel “composite” motorcycle fuel tanks are a big performance gain through weight reduction providing more acceleration, quicker handling and improved braking. 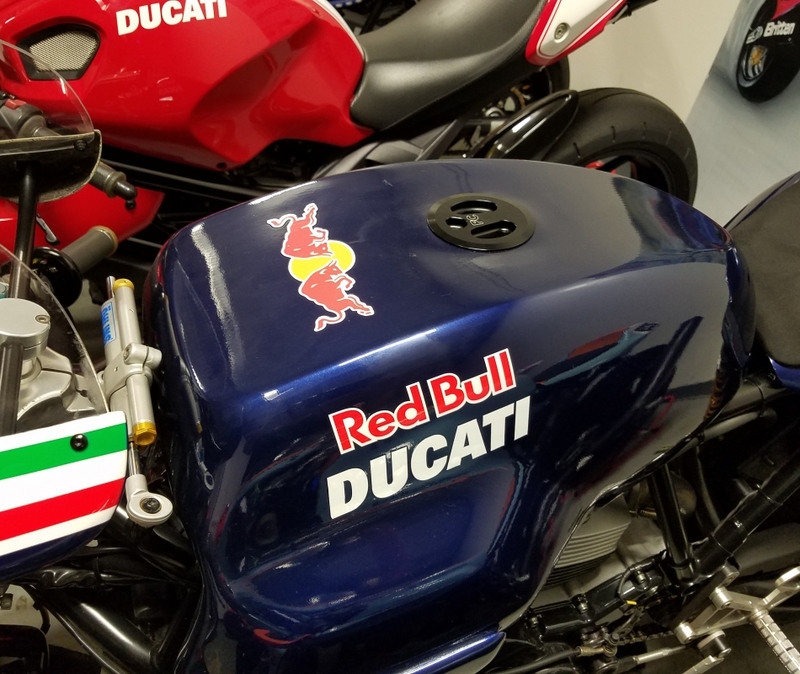 I finally saw the fuel tank, and frankly, I’m more than impressed. No I’m blown away. It’s awesome. Feel free to quote me on that. The fit and installation is perfect, the fuel cap works a treat, and the capacity was bang on 22 litres, although we could have squeezed a litre more in without a problem, which is frankly fabulous. The breather and venting of the tank is the most intelligent and coherent design I’ve seen, and I’ve seen a few, and not a drop leaked throughout the race. 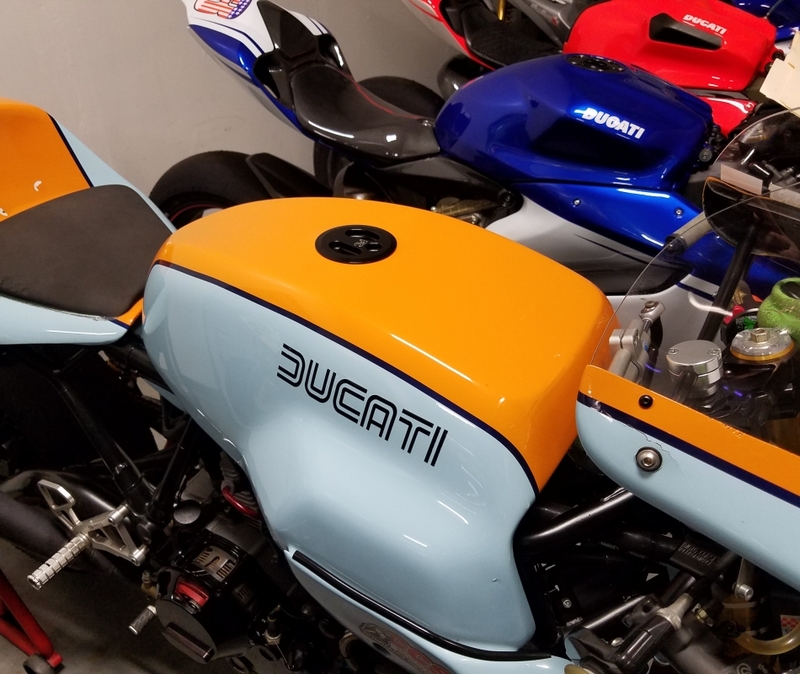 The riders were delighted, and amazed the tank didn’t hamper their movements on the machine one bit, on the contrary, the slightly higher rear of the tank helped take the weight off their arms under the fierce braking at the end of the back straight. 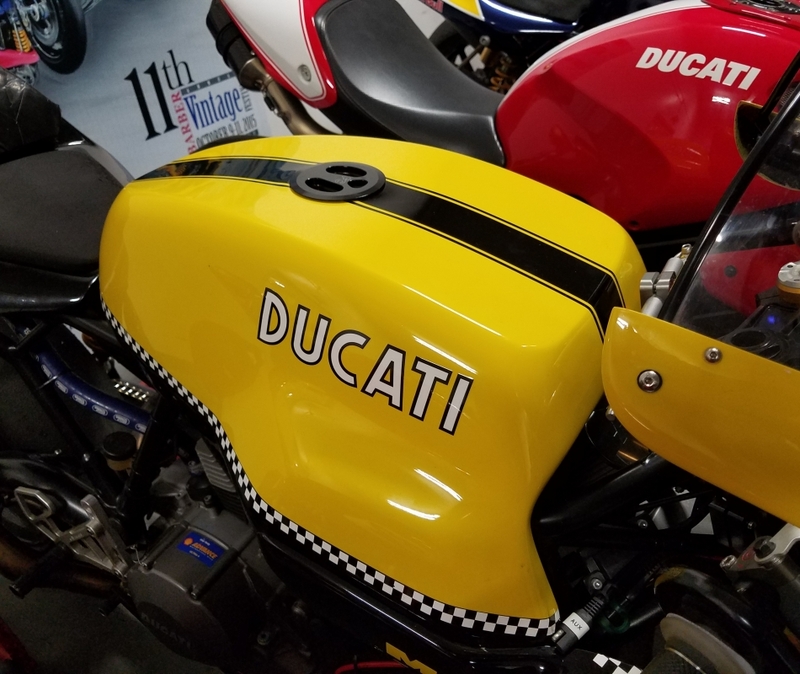 You guys sold me a streamline tank for a Ducati 1000SS. Your product is outstanding. 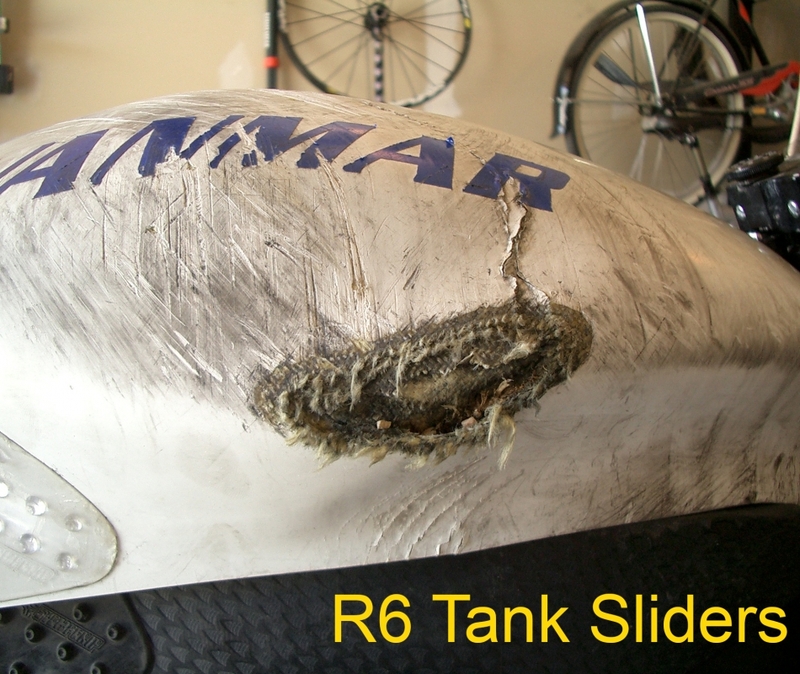 I low-sided in May and the tank (which took a good hit) had a couple surface scratches. No repairs, other than some touch up paint. Incidentally, my buddy had a similar incident on his Duc, but he had a CF tank. Tank was ruined. I’m a customer for life, and I have been singing your praises to those who will listen. “Love the tank. Weight savings are awesome and the quality of the tank is outstanding. I will not ride with any other tank and will be one of the first Mods I do when I get another bike. 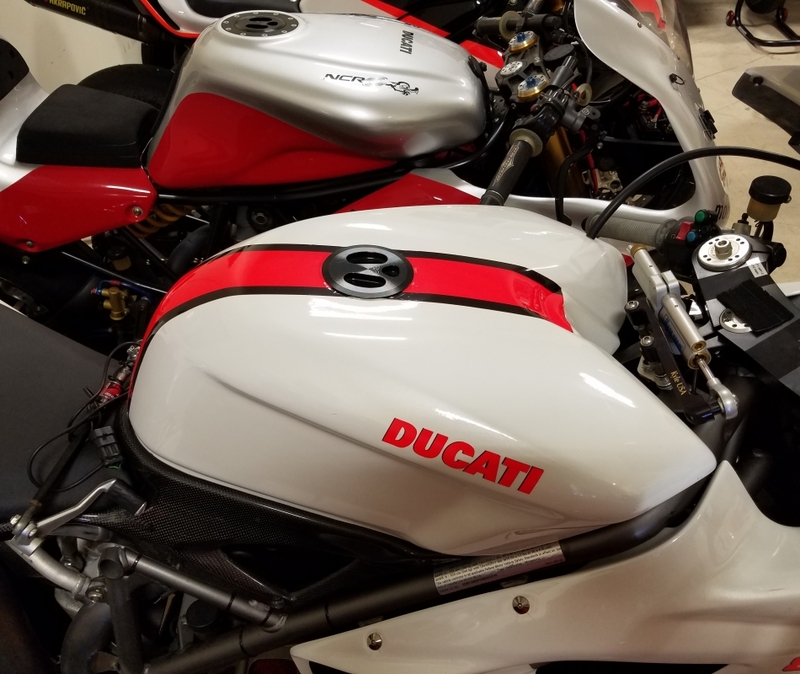 My buddy liked it so much he also bought one. 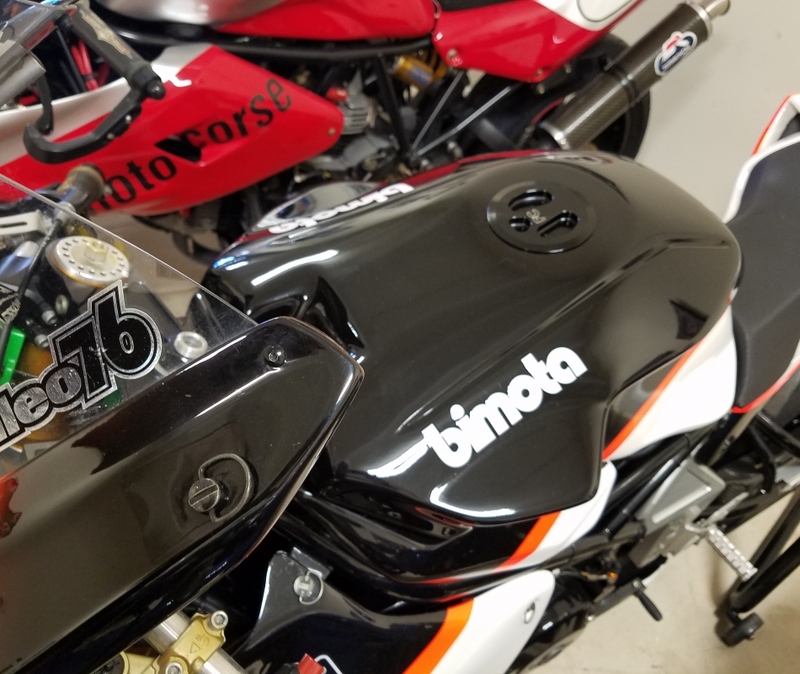 “As promised here are some pics of the 749R. The bike is spectacularly light, with about 12L – 15L of fuel, it weighs on precision scales 167kg! And a big plus for that weight is the light tank.